Instead, we are treated to eleven instrumentals, each of which tells a story in the music, with Kalle’s guitar of course being the main instrument. However, because Kalle is not the typical guitarist who wants to shred and show off, far from it, it works out in rather surprising way. Some of the tracks (Anomalies, Interno, Silver Lining) have an atmospheric – or as he calls it himself esoteric – sound, building soundscapes on keyboards (played by Kalle himself) that are a bed for melodic guitar tunes and well thought out solos. Where needed, flute and violin are added to contribute to the intended atmosphere. In contrast Industrial No4 is exactly what the title suggests – an industrial influenced track that mimics the sound of machines in the music, with metal like guitar riffs. In the Back of My Head has a little bit of that, but is much simpler and allows Kalle to lay down a guitar piece that he refers to as ‘philosophising on the guitar’. Trapping is another example of a mix of industrial and melody – with some surprising changes in rhythm and melody. The tracks Rosie (dedicated to Kalle’s daughter) and Touch of an Angel are the softer ones on the album. On the latter, the instruments are mixed back to only support the wordless vocal, making it almost a meditative song. An interesting exercise in sound finally are the twin songs Unforgiven and Forgiven. One is about mistakes by loved ones that can’t be forgiven, while the second reflects a more forgiving mood. The guitar, fluit and the changes in atmosphere are a challenge to interpret knowing this background. Production and sound wise, Kalle Vilpuu has taken care of things quite well. Guitars were recorded through real amps, never directly into a mixing panel, and on every track the intended balance between the instruments (and occasional vocals). 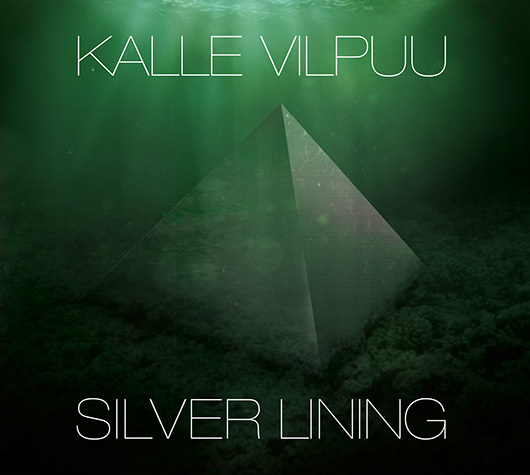 Overall, this album is a hidden gem, until he send me a copy I had never heard of Kalle Vilpuu, and over the past few months I found that this applies to others as well. A pity, because anyone who can appreciate a modern piece of not straight forward rock music will find something in this album. This entry was posted in Album review, Angelo's Rock Orphanage, Music, Music stories by Angelo Hulshout. Bookmark the permalink.